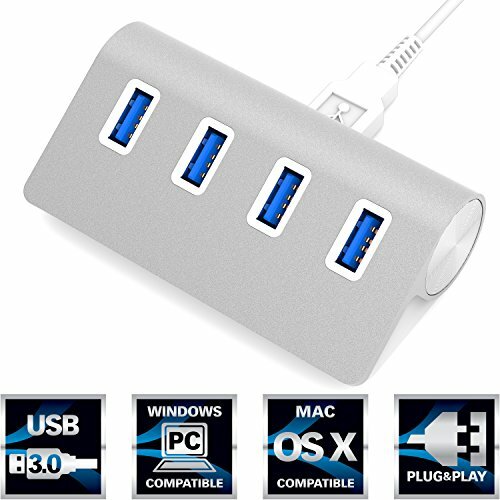 The USB 3.0 Hub adds four additional USB ports to your Mac (or PC), allowing you to connect USB devices such as digital cameras, phones, external hard drives, flash drives, and printers to one convenient place. 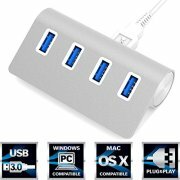 Its sleek aluminum design the perfect complement to your Apple computer and products. It does not require any software or complicated installation process. With a slim design, it saves you precious desktop space. It’s extremely portable and easy to move between systems or take on the road. Warranty: This product comes with a one year manufacturer warranty.